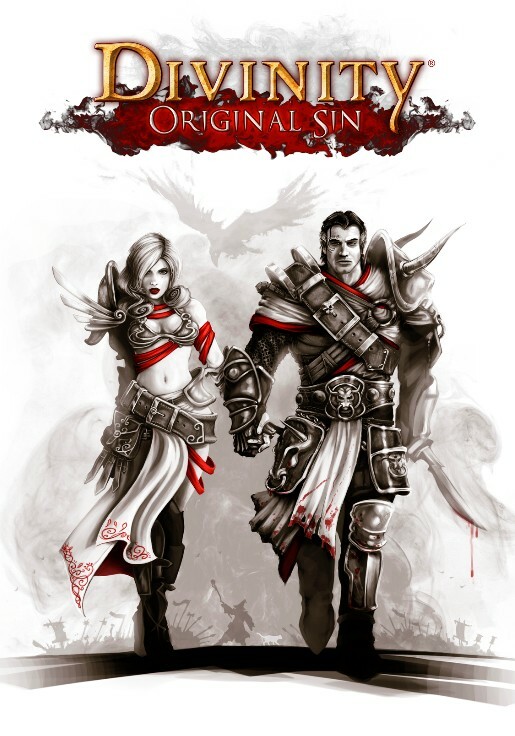 Divinity: Original Sin is the latest title in Larian Studios' Divinity franchise, which began way back in 2002 with the oddly- but memorably-named Divine Divinity. Original Sin is a prequel of sorts. It takes place before the events of Divine Divinity, and it doesn't have anything to do with Dragon Knights, the Black Ring, or even Damian the Lord of Chaos. Instead, it deals with the Source, a tainted magical force most commonly used by necromancers and demonologists. As Original Sin opens up, you take control of a pair of Source Hunters. Your job is normally to track down and kill "sourcerors," but in this case you've been sent to the town of Cyseal to investigate the murder of a local councilman because it appears that the Source was involved. Of course, when you arrive in Cyseal you discover that it is also being plagued by orcs and the undead, and as you solve these local problems you become aware of a greater threat. Someone calling herself the Conduit is behind everything -- and also has evil plans for all of Rivellon. That leaves it up to you to end her machinations and save the day. The first thing you do in Original Sin is create your two Source Hunters. This decision might seem a little odd -- in all other RPGs you either create just one character or an entire party of four or more -- but Original Sin like the other Divinity titles uses the concept of "soul forging," which requires two people to form the link. Conveniently, having two main characters makes it easier to deal with co-op mode, since each player can control one of the two hunters. Each character is defined by a series of attributes, skills, abilities, talents and traits. Attributes include Strength, Dexterity, Intelligence, Constitution, Speed and Perception, which all do roughly what you'd expect. For example, Strength increases your melee damage, your carrying capacity, and how far you can throw things, while Intelligence improves the effectiveness of your spells. Skills are categorized into eight classes, including Man-at-Arms, Expert Marksman, Scoundrel, and five spellcasting schools (one each for the four elements plus Witchcraft). Original Sin uses a classless system, so any character can learn skills from any class, and you have various ways you can put characters together. That being said, you only earn a limited number of points while playing the game, so you're better off specializing rather than trying to be a jack of all trades. As an example of the skills, Scoundrels can learn to Trip (knock opponents down), Lacerate (cause bleedings), Self Medicate (remove certain debuffs like bleeding), Walk in Shadows (turn invisible), and more. Abilities control how powerful you are in certain areas of the game. Each skill class has an associated ability, where the more points you put into the ability, the more spells or skills you can learn in the class. Abilities also cover weapon proficiencies (including one-handed, two-handed, and bows), defense (including shield and armor specializations), personality (including charm and bartering), crafting (including blacksmithing and lore), and "nasty deeds" (including pickpocketing and lockpicking). Abilities get more expensive the more points you put into them, and so you can't learn everything, or come even close. Talents are what other games might call perks. They're special bonuses you can select every four levels, and they include things like Pet Pal (which allows you to talk to animals), Opportunist (which allows you to perform attacks of opportunity in combat), Far Out Man (which extends the range of your spells), and Courageous (which makes you immune to fear). Most of the talents have a prerequisite based on your abilities, and are often the "reward" for maxing out an ability. For example, if you take Expert Marksman to its top rank, then you gain access to the Quickdraw talent, which allows you to shoot arrows more quickly. Finally, traits are a special case for the two main characters. They measure how you respond to the various choices you're forced to make during the game. If you're altruistic, then you improve your reputation, which causes people to like you more. If you're bold, then you gain a bonus to your initiative. If you're considerate, then you become more charismatic. If you're forgiving, then you can no longer be cursed. There are 18 traits in the game, but they're all paired against each other, so you can only favor half of them (for example, you can't be altruistic and egotistical; you can only be one or the other). The traits are sort of an interesting case. Do you just role-play your character, or do you make your decisions based on which answers give you the best reward?